The Villages of Portugal are a new concept, which acquires meaning and depth in this world that leads us to the discovery of origins. Favoring the contact with nature, with the populations and rural ways of life, with crafts and regional culinary delights, the Villages of Portugal offer us a different type of tourism. They take us to places of dreams, where leisure, tranquility and welfare is added the possibility of distributing the country deeper and more authentic. Natural rural villages surrounded by idyllic landscapes, preserving a past traditions expressed in its buildings, its people, culture and customs., Rurality and the genuineness so alive in each village. 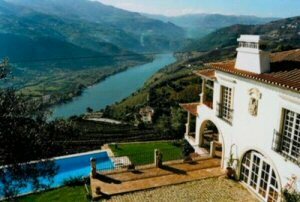 The Villages of Portugal ( www.aldeiasdeportugal.pt ) intend to provide those who visit the discovery of a different form of tourism - the Rural Tourism, inviting him to a stay of complete independence, a cottage, surrounded by nature. It is an opportunity to enjoy not only accommodation typical of Village Tourism, but also landscapes and a serene environment, combining the contact between man, nature, culture and daily life of the rural world.